Note: The All-District 1, Division II soccer team was selected by the district’s coaches. Forwards — Sergio Gomez, Benton, So. ; Dayton Waller, Loyola, Sr. Outside Mids/Wings — Sam Vickrey, Benton, Jr.; Kolby Knight, Loyola, Sr. Center Mids — Mason Barnes, North DeSoto, So. ; Pedro Hernandez, Minden, So. ; Hayden Watts, Loyola, Jr. Defenders — J.B. Mercer, Benton, Sr.; Cole Grimes, Benton, Jr.; Taylor Ward, Benton, Jr.; Carter Parks, Benton, Fr. ; Clayton Krauss, Loyola, Sr. Goalie — Mitchell Matthews, Benton, Sr. OVERALL MVP — Ethan Parks, Benton, Jr.
CO-OFFENSIVE MVP — Will Sanguinetti, Benton, Sr.; Clifton Coleman, Loyola, Sr. DEFENSIVE MVP — Daniel Valcho, Benton, Jr.
Forwards — Matthew Vitacca, Loyola, Jr.; Thomas Jones, Northwood, Sr. Outside Mids/Wings — Dylan Grimes, Benton, Fr. ; Brett Ray, North DeSoto, Fr. 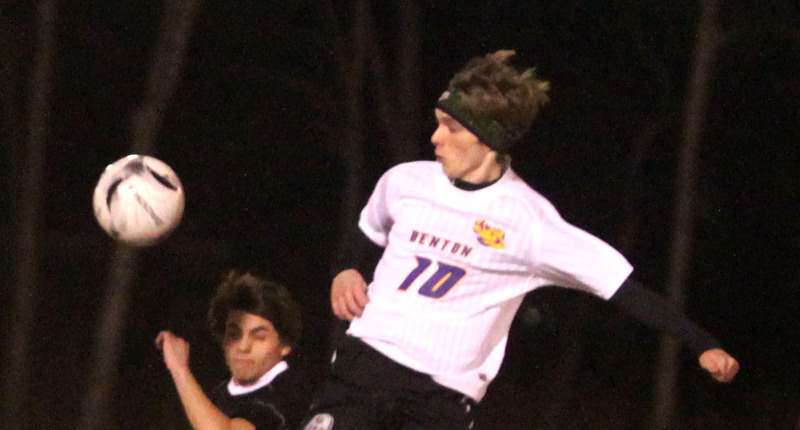 Center Mids — Michah Bottoms, North DeSoto, Sr.; Sjors Geurts, Minden, Sr. Defenders — Danny Medvec, Loyola, Jr.; Chris Fenton, Loyola, Sr.; David Lemmons, Minden, Sr. Goalie — Cole Ward, North DeSoto, Jr.